A disposal mound for radioactive tailings, located at the site of a former uranium mill. The mill was operated by Union Carbide from 1957 to 1961. The mill site was bought by the State of Utah in 1988, and the buildings remain, gutted and abandoned. 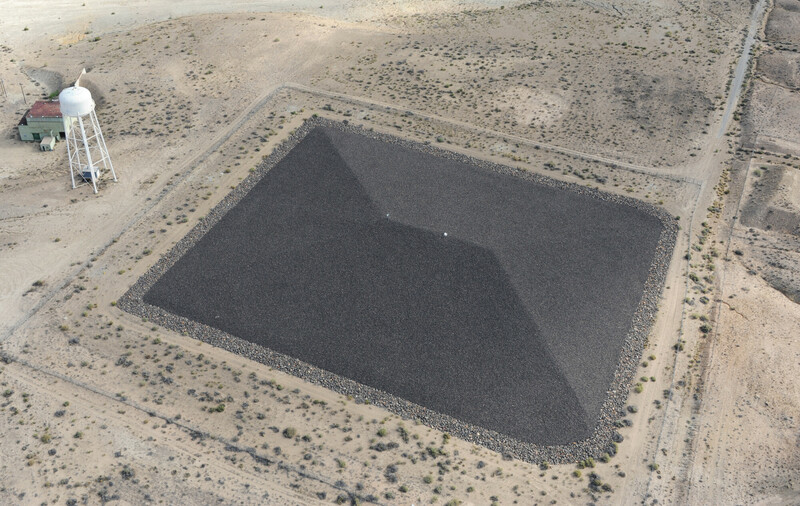 The DOE took over the disposal operations, and built the mound in 1989. It contains tailings, as well as contaminated material from 17 other properties in the area. The mound is 450 feet by 530 feet, and 41 feet tall. It covers 6 acres, and is surrounded by a chain link fence, ringed by signs warning of radioactivity.